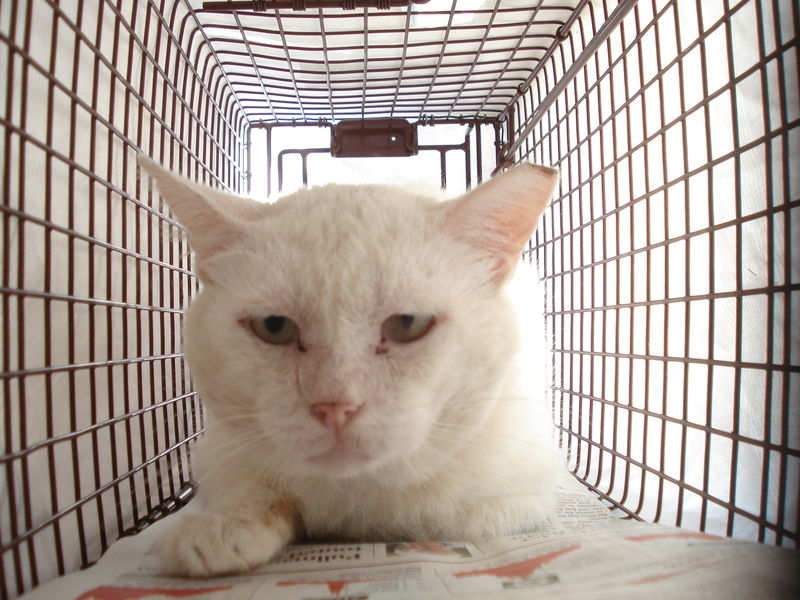 Latte is one of those cats outside that could use a little help. 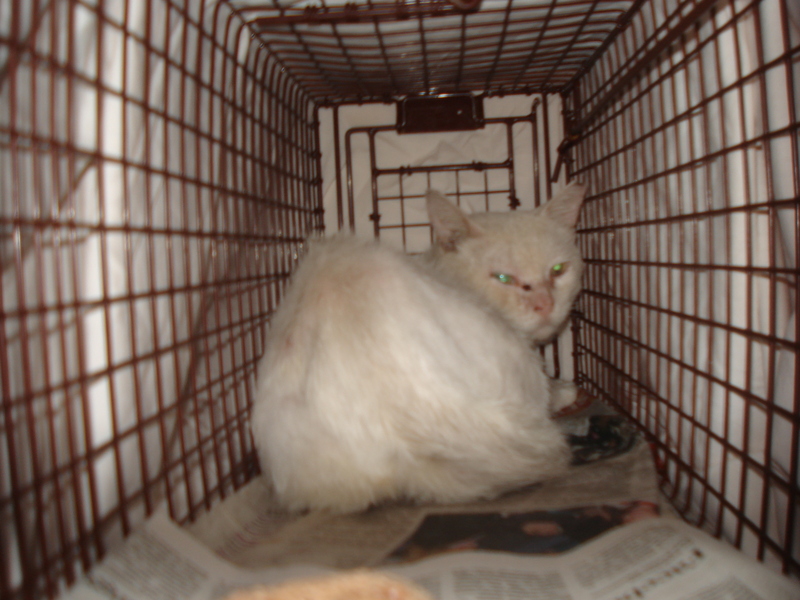 We trapped him last week in the midst of a thunderstorm at the Frontier Colony location. He was neutered and vaccinated immediately, but he also had a visible wound on his back and conjunctivitis. Latte could use a little TLC. Tree House’s clinic cleaned his wound and gave him Clavamox antibiotics for a week. He was easy to treat because he ate everything they gave him, and slept a lot. By the end of the week he was getting bored and hissy, which means he was feeling much better. I was happy to see how good he looked when I picked him up to be returned outside – his eyes looked clear, he definitely gained some weight, and his fur looked fluffy. Can I go back outside now or what? 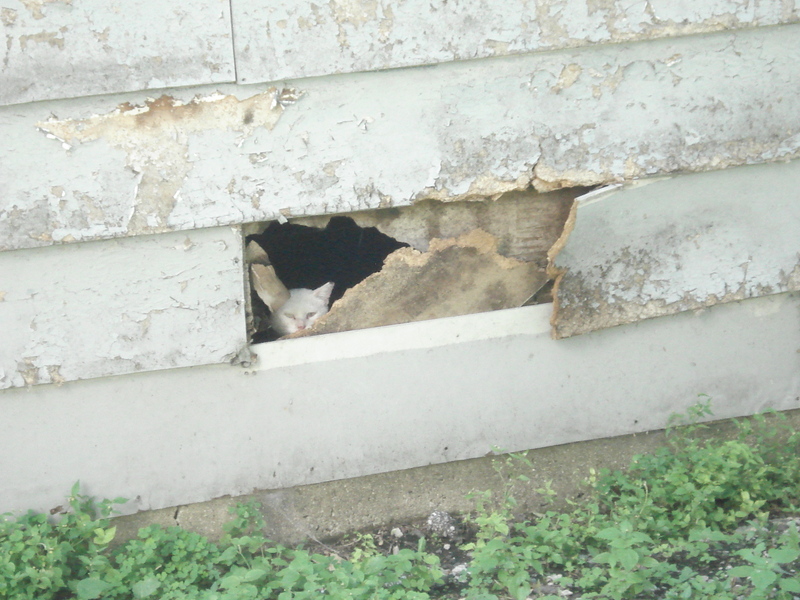 Latte was hesitant to leave the trap when I returned him, but then he bolted and went straight for an abandoned garage. My next task is to see if I can get access to that garage because it was clear this was part of his home territory, and I bet there are other cats using that space as well. He went in through one entrance, and then poked his head out another to spy on me. You're STILL here? Um, got any noms?